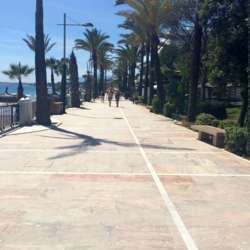 LETS GET FIT BY WALKING THE PASEO TO PUERTO BANUS! You must be a member of the Marbella City Trotters Group to attend this activity. Would you like to join this group? This is a chance to get fit and meet new people, whilst taking in lovely scenery. Let's start our fitness regime this Sunday!